Nice Holidays 2017 are ready! You can expect again challenging sandstone terrains and lot of fun. For this year we are preparing two brand new maps. 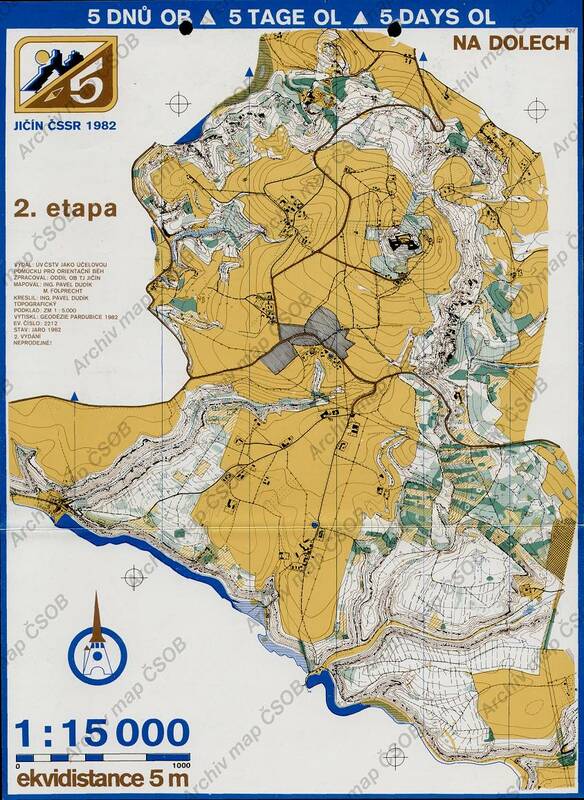 First stage, middle distance will be held just under the remarkable castle Trosky where the last orienteering map was in 1982 (northern part of the old map). Runners can expect slope with rocks, small valleys, partly some green areas and contour details. Second stage will be the long distance in area of "Skaláček". There is partly hilly and rocky terrain, deep valleys, steep slopes with stones and rocks and fast plateaus, partly top of the hills bordered with rocks and stones. Longer courses will visit also the valley of Čertoryje. 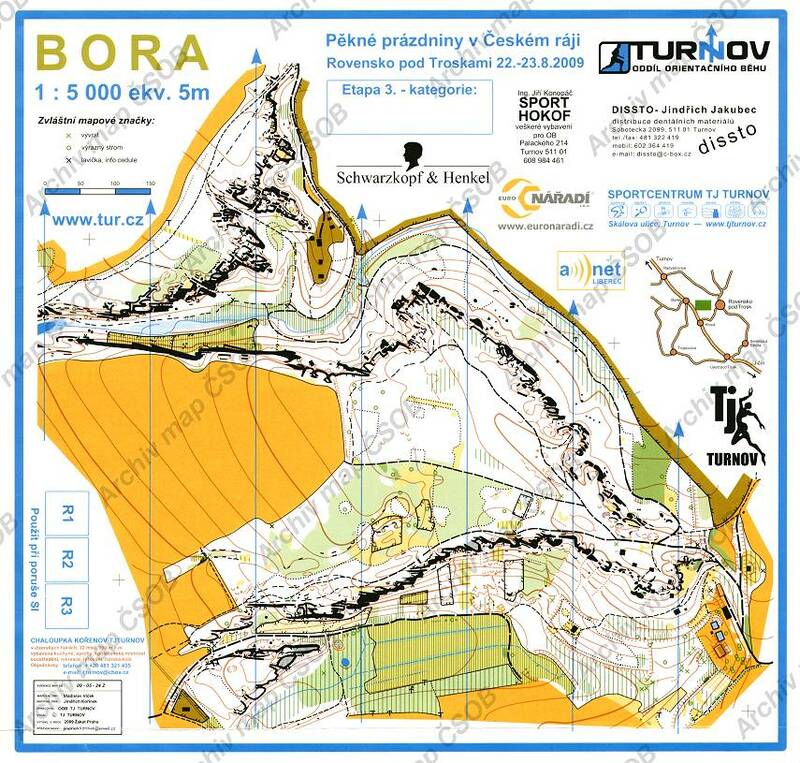 For third stage is now being surveyed other brand new map of the area of Borecké skály (Borek rocks). 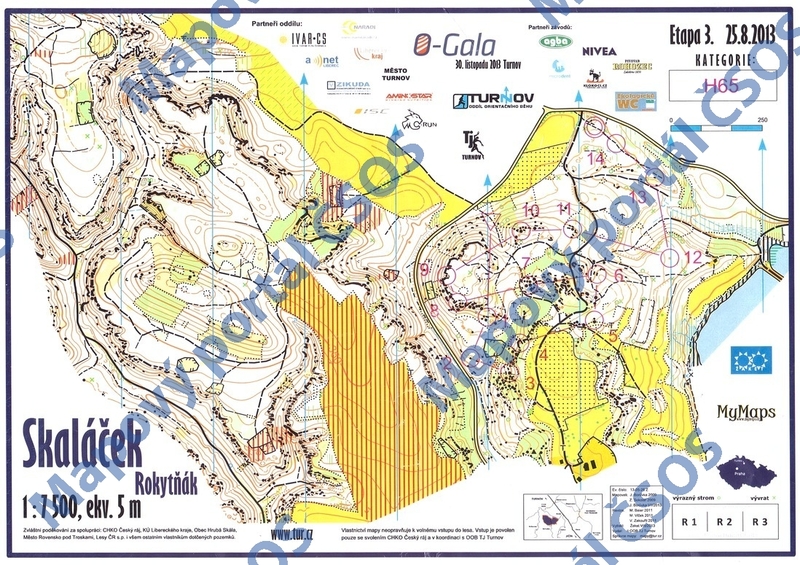 New map is mapped by Zdeněk Sokolář and it will be scaled 1:7500 for "rocky" middle distance. Event centre is situated in Rokytnice, local part of municipality Hrubá Skála. All three stages are in walking distance from the EC. Free afternoon after the stage you can spend either in the EC close to the Libuňka river or on a trip. If you decide for a trip, there are some tips. The bizarre ruins of a Gothic castle founded in the late 14th century by the Lords of Wartenberg became one of the main symbols of the whole Bohemian Paradise area. The siting of the castle on two steep basalt volcanic made Trosky unconquerable - even the Hussites failed to capture it. However, no fortress can resist the hands of time, so even Trosky, abandoned in the late 15th century, began to gradually fall into ruin. However thanks to its romantic atmosphere and unique silhouette it became a popular tourist destination in the 19th century and soon received the most necessary repairs. Visitors today learn about the rich history of the castle, climb up the Baba tower and up to the outlook under Panna tower. There is 2 km long walking path from the event centre to the castle marked with blue colour. Long romantic valleys under Trosky castle are another well known Nature reservation of Bohemian Paradise. You walk and follow this valley full of ponds and bordered by magnificent rocks rising from the water. Little bit further but still in walking distance from the event centre you can find on the rocks beautiful chateau Hrubá Skála. This chateau is well known for the famous Hrubá Skála "rock town" situated just beneath the chateau. You should visit this place and take a look at wonderful sandstone towers from the top or have a walk amongst them.